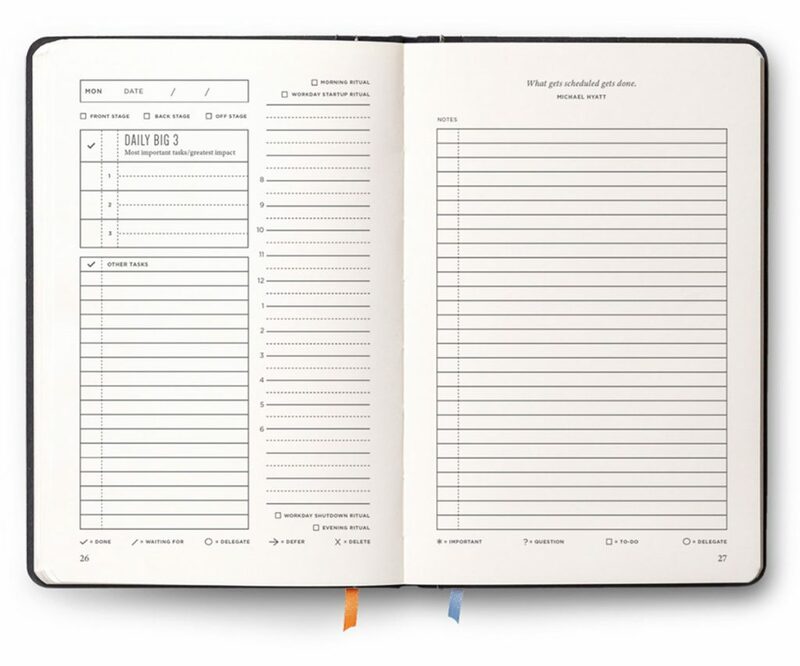 The Full Focus Planner is a traditional paper planner that cracks the code for combining a focused, daily to-do list with research-backed long-term goal achievement. I can’t help but being a true productivity nut. I devour everything that helps me get my daily stuff done as well as keep me in check with the things I want to achieve. While I’m all for digital tools to help me out the Full Focus Planner by Michael Hyatt is a planner that does one thing really well. The paper format isn’t affected by any nearby distractions that you so often see in its digital counterparts. The Full Focus Planner contains the following templates / pages to help you get your stuff done. A single Full Focus Planner is good for a single quarter (90 days). Buying a new one each time can get a little bit expensive which is why an annual subscription of focus planners is available for a discounted price.